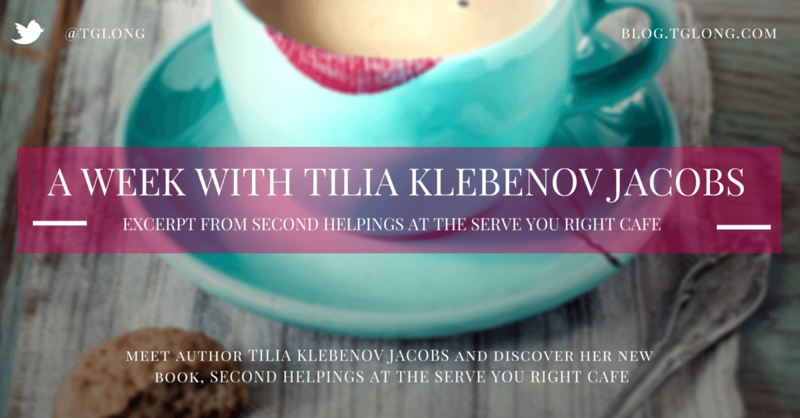 Tilia Klebenov Jacobs is here on the blog all week, talking about her new book, Second Helpings at the Serve You Right Café. 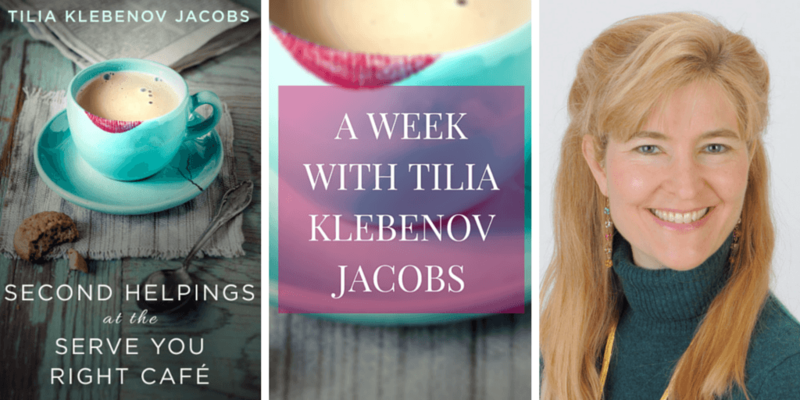 On Monday, Tilia shared a fantastic guest post, today she’s sharing an excerpt from her wonderful new book, and on Friday we’ll get to see some quick quotes from the novel. Plus, you have a chance to win a $25 gift voucher so keep reading! Emet’s room was plain. The walls were Frigidaire white and undecorated; he had a bed and a table with a phone and an answering machine. His mother called him once a week, as he had phoned her each of the five hundred weeks of his incarceration. Now they could talk for more than twenty minutes, and he didn’t need to call collect. Next to the answering machine, a shoebox held a dozen or so letters in plain, white envelopes. The return addresses were in different handwritings, but each one was stamped the same: “This correspondence is forwarded from a Massachusetts Correctional Institution. The contents may not have been evaluated and the Department of Correction is not responsible for the substance or content of the enclosed material.” Emet had answered all of them. Did you see the game last week? Say hi to the guys for me. He was almost out of stamps and envelopes. After almost ten years of enforced early rising, Emet could not sleep late. He was awake and smiling before the first drops hit his windows. The rain fell hard, and soon water was chuckling in the drainpipe. “Awesome,” he said to no one, and lifted the casement to watch the world being washed clean. Emet’s apartment was on the second floor of an oatmeal-colored building with a green, metal roof. 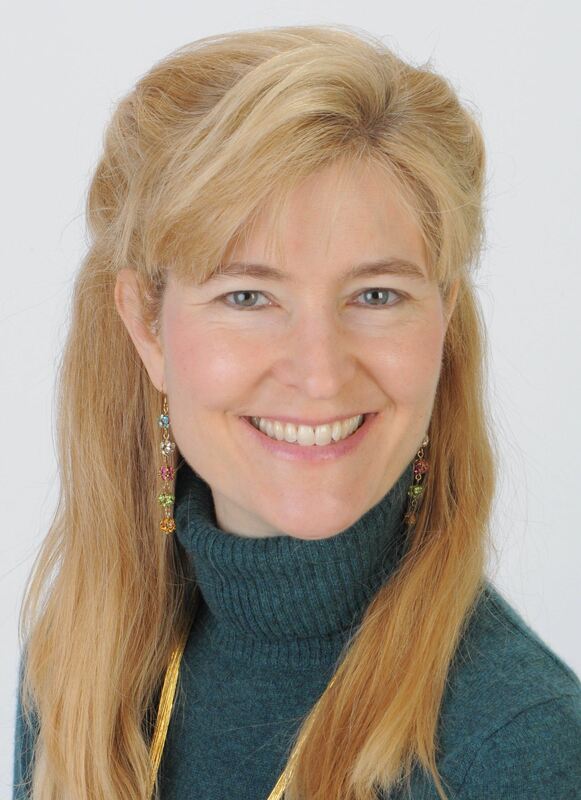 It was part of a low-income development, inside Oxbridge’s city limits but far from the center of town where tourists congregated and natives took yoga classes and agreed with each other in the Unitarian Church. A strip mall in the next block took care of most of his shopping needs. Emet’s car, a second-hand Subaru Outback, rested in its space in the parking lot. It and a driving test at the DMV had been his mother’s gifts to him upon his release from prison. (“He hasn’t had an accident in ten years,” she proudly told the tester.) Sometimes he drove to work, because he could. Today he would walk in the rain. Because he could. Emet’s windbreaker had a hood, but he let it hang down his back as he stepped outside ten minutes later. Mist gathered on his cheeks and coalesced into warm droplets. Rain was the caress of an untouchable sky. When he reached the center of town, Emet took a shortcut through the half-lot behind the Serve You Right Café. Eden Rose had planted herbs there: basil and rosemary and flat-leaf parsley, and mint confined to a barrel lest it run amok and take over the small garden. One of the coffee shop’s signature cold-weather dishes was a mug of beef broth infused with mint leaves. Some of the regulars were already asking for it, but Eden Rose would not make winter food until after the first hard frost. “For every thing there is a season,” she had told one customer. “Turn, turn, turn,” he had replied as she handed him his coffee. The leaves were silvered over with rain. Emet ran his hand through them and lifted it to his face, inhaling to the fullest capacity of his lungs. The rain smelled like herbs and the herbs smelled like rain, and he exhaled as slowly as he could. When he walked in the front door of the Serve You Right Café, Eden Rose was standing on a chair writing on the blackboard. Worst Pun Ever. Free Refills with Every Groaner. 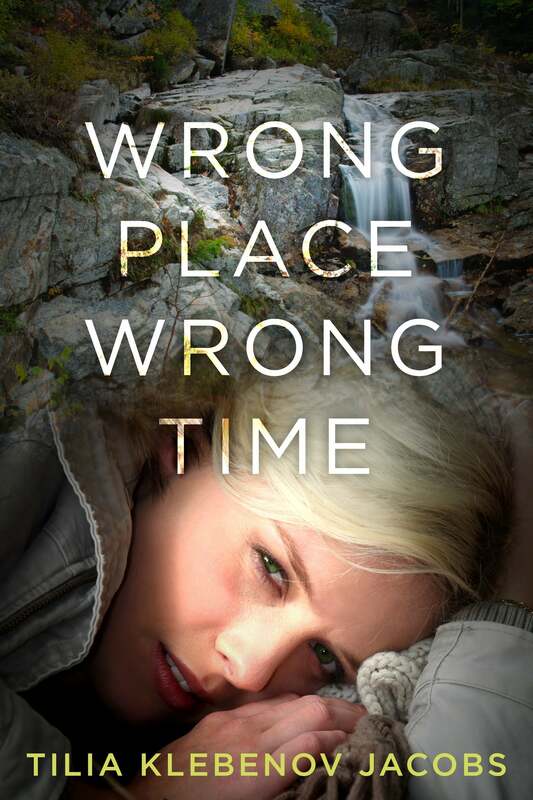 She stepped off and glanced at her watch. “Sorry, boss,” he smiled. “Won’t happen again.” He shook his windbreaker outside the door before hanging it up on a peg. He walked behind the counter and put on his apron, stuffing his hair into the net. 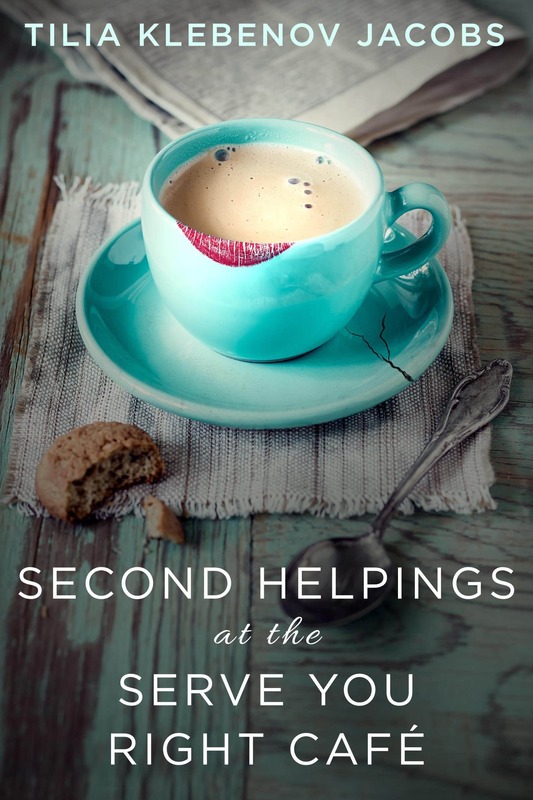 On Friday, Tilia will be sharing five quick quotes from Second Helpings at the Serve You Right Café!